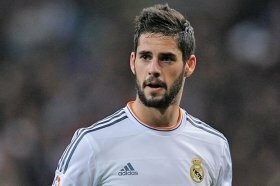 Manchester City are unlikely to make an approach to sign Isco from Real Madrid when the transfer window reopens at the turn of the year. The Spain international has been an influential player for Los Blancos over the past few seasons but he has dropped down the pecking order this term. Isco began the campaign as one of the regulars under Julen Lopetegui but the change in management has not favoured him with Santiago Solari yet to hand him a league start under his tutelage. As such, he has recently been tipped to make a Premier League move with the Citizens among the contenders but The Independent suggests that may not be the case during the winter transfer window. It is added that the Mancunian giants are focused on strengthening the holding midfield department instead, although they may have to wait until the summer to pursue their prime target in Frenkie de Jong from Ajax. Manchester City are currently second in the league standings after 17 games into the campaign and just one point separates them from table-toppers Liverpool.